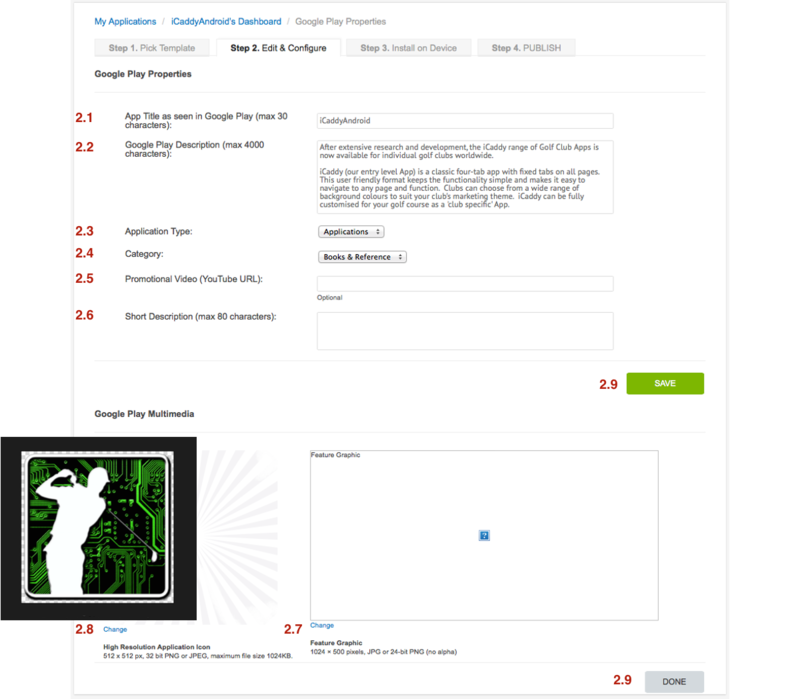 The following tutorial describes how to edit the Google 'Play Store' Properties and 'App Multimedia' images for your App. 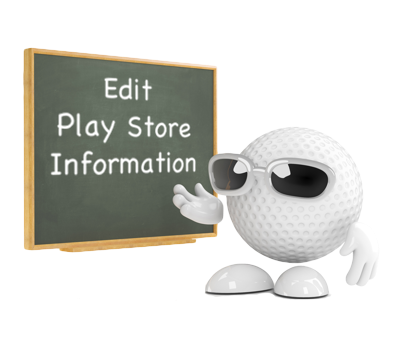 This information is applicable to Apps developed for Android devices only. (Please refer to How to Edit 'App Store' Properties & Multimedia to edit these settings in Apps developed for Apple devices). From the App's 'Dashboard' select 'Google Play Properties' on the right-hand side. 2.1 App Title. In the 'Google Play Properties' screen, insert the Title for your App (e.g. Golden Vale Golf Club) - spaces are allowed. The App Title is equivalent to the App Name for an Apple (iOS) App. Note: This is the title that will be displayed in Google's 'Play Store'. 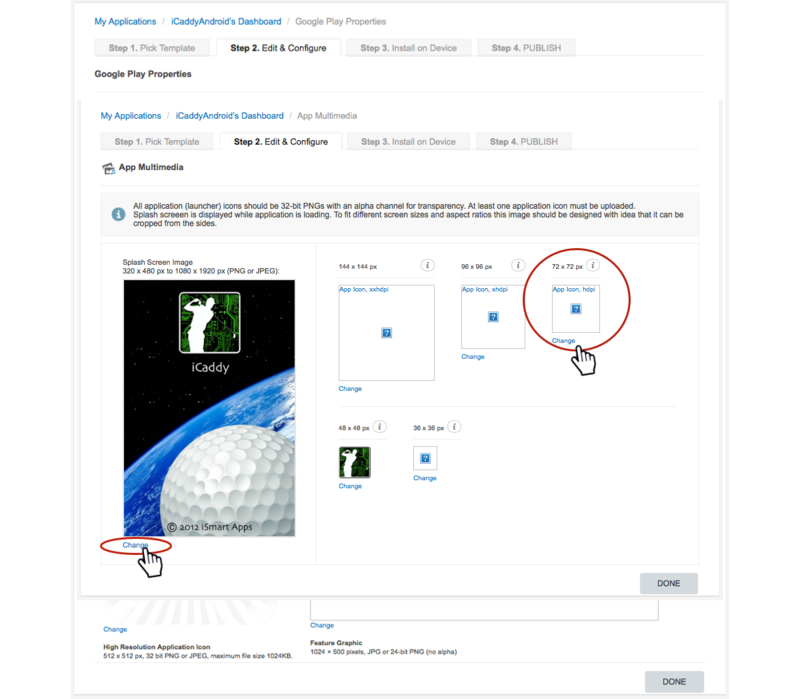 The title chosen for your App should not be generic - it should be unique to your individual golf club to avoid publishing complications (where another App may already exist under the same name). 2.2 Description. In the 'Google Play Description' field, enter a description for your App. This information will be displayed on the Google 'Play Store' and will also be shown when the App is viewed in the iCaddy Apps Previewer. This field has a maximum of 4000 characters. 2.3 Application Type. Leave this field as 'Applications' (default). 2.4 Category. Select 'Sports' from the drop-down menu. 2.5 Promotional Video (Optional). If you have a promotional YouTube video for your club's App, insert the URL for the video here. 2.6 Short Description. Enter a short description for your App. This text should provide a summary about the App in 80 characters or less. 2.7 Feature Graphic. In the 'Google Play Multimedia' section (down-page), insert a promotional image (i.e. Feature Graphic) here to promote your App on the Google 'Play Store'. Click 'Change' (below the cell) and add an image as required. Note: The image must be a 1024 x 500 pixel, .png or .jpeg file type, with no alpha channel (clear background layer). Be sure to only upload an image which meets the required criteria. Remember: Image file names are to contain only numbers, letters and underscores with NO SPACES (e.g. Example_Promo_Graphic_5.png). 2.8 Application Icon. In the 'Google Play Multimedia' section, click 'Change' (below the cell) to upload (or change) the icon. 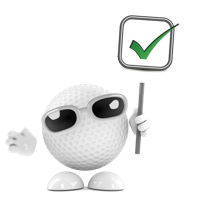 Ideally, the icon selected should be the same logo used for your golf club's general marketing purposes, such as the logo featured on your club's website. Note: This image must be a 512 x 512 pixel, .png or .jpeg file type only with a maximum size of 1024KB. Images which do not fit these criteria will be rejected. Remember: Image file names are to contain only numbers, letters and underscores with NO SPACES (e.g. Example_Application_Icon_1.png). Design: Unlike the icons used in Apps for Apple devices, images used for Application icons in Android Apps can and should use a clear background layer (Alpha Channel). Icon image files should have a clear section around the outside of the graphic (particularly on the left and right sides), as the side edges are trimmed slightly, as part of the 'Play Store' publishing process. See the example above which shows the clear background (depicted by white and grey checker-board) extending beyond the central graphic out to the (512 x 512 px) canvas edge. Refer to the Google Play Store on your Android device to see various examples of resultant 'Application icons'. 2.9 Click 'SAVE' then click 'DONE' to return to the App's 'Dashboard'. You can click 'SAVE' / 'DONE' at any stage and return to complete later. From the App's 'Dashboard', select 'App Multimedia'. Summary: The different-sized 'Application icons' uploaded in this section are used to display each image on Android devices with different screen sizes and/or display resolutions. 4.1. Application Icons. In 'App Multimedia', select 'Change' below each 'Application icon' and add a new image as required. 4.2. Splash Screen. Click 'Change' below the 'Splash Screen' and add a new image as required. 4.3. Click 'DONE' to return to the App's 'Dashboard'. You can click 'DONE' (to save your work) at any stage while updating 'App Multimedia' and return to complete later. Congratulations. After completing this tutorial, you will be familiar with the process for creating, resizing and uploading image files into your App's 'Resources'. 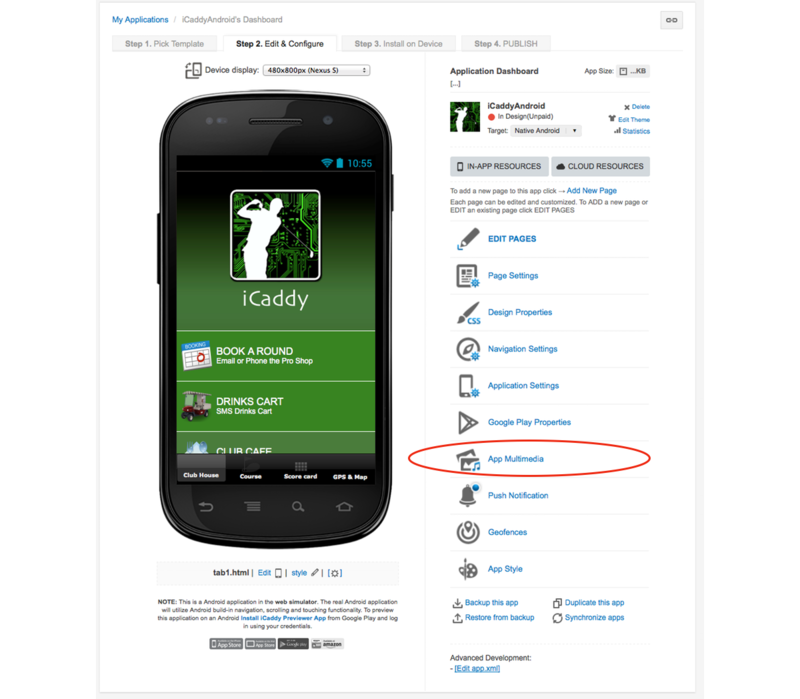 This process forms the basis for building your App in the iCaddy Apps framework. You are now well on your way to building an App for your club!